A new hydroelectricity plant will open next year in Hong Kong to be followed by construction of the city’s first desalination plant as leaders seek new water supplies and aim to reduce water demand. 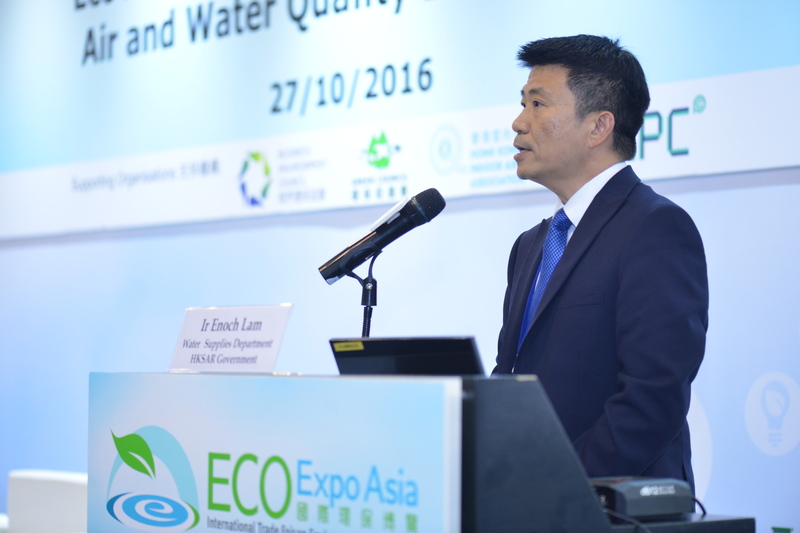 The plans were outlined by Enoch Lam, Hong Kong’s Director of Water Supplies, during the Eco Expo Asia event in Hong Kong (26-29 October). Lam said the Tuen Mun Water Hydro plant will provide 10 percent of the city’s electricity once it opens in February. “More hydroelectricity options are being explored as part of our total water management strategy that uses adaptation, mitigation and resilience as we face climate change threats,” he said. Pilots have also been launched that include floating solar panels on reservoirs that can supplement the power supply, wave power and refitting 60 government buildings and schools to recycle rainwater. In terms of conserving water the government launched a campaign to reduce each citizen’s use by 10 litres a day and has installed an intelligent water network, dividing the city into 2,000 district metering areas. Each area includes monitoring and sensing equipment that can actively detect leakage and send a team out for a speedy repair. “While the government is happy to take the lead we still need to collaborate with the community and get them on board to participate,” added Lam. Ways in which the city is further attempting to get citizens on board is through education centres, best practice audits for hotels and businesses and in November the city will host a water conservation week. Lam later outlined that as Hong Kong grows and builds housing in the New Territories those new developments will be more self sufficient with water supplies. “They will have their own water resources through a combination of measures as it simply does not make sense to pump water and wastewater such large distances,” he added. Lam concluded that the city’s total water management strategy, released in 2008, is currently under review and will be updated next year.